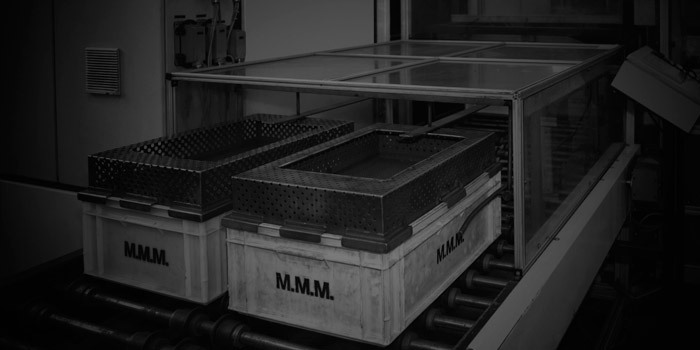 Cleaning processes conducted by our systems ensure the absence of metal polluters and fibers. These cleanup levels are controlled by laboratory testing and meet the requirements of gravimetric and particle size of the waste according to the ISO 16232. Also capable of correlations with the customer. These processes apply mainly to oil related parts or injected ones and use different solvents or a water or organic base to dissolve oil and grease. The cleaning process is complemented by ultrasound technology for additional particle detachment. For the most demanding cases we offer tailored solutions to be applied to the final product. These incorporate specific cleaning processes, drying and conditioning without the need to work in gray rooms.